Hello. 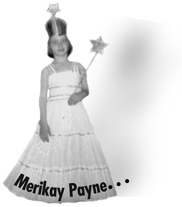 My name is Merikay. I am a closet silly. But responsibility runs deep in my heritage. I lived the Depression through the conservatism of my parents—as old as most people’s grandparents. I lived the radicalism of the 70’s—back to nature and breaking rules—through my liberalism. Some people think nature and society follow rules. I follow nature and society, but I know that chance rules. By applying ink to plexiglass and pressing paper to the image, my monoprints are born. Just as children come with their own briefcase of ideas, my mixed media art is full of negotiation. I attempt not to accumulate, but rarely throw feelings, traditions or resources away. I make prints of nostalgia with ink, pastel, colored pencil and the occasional three-dimensional material added as narrative. Blending the allusion of language with the illusion of art is fertile ground for my figurative/abstract art.